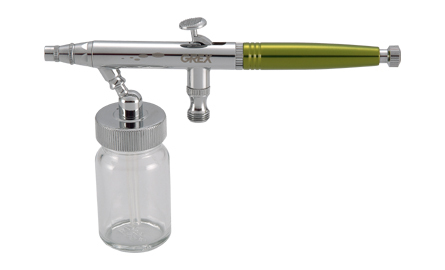 The Genesis.XB was designed for quick and painless color changes with its plug-in siphon fed bottle; perfect for t-shirts, murals and multiple color applications. Not only does the provide greater ease for complex projects, but it also offers better line of sight and greater reservoir capacity. - Preset handle for precise paint volume control. - Plug-in siphon bottles for quick color changes. - Accept oils, gouaches, urethanes, enamels, lacquers, acrylics, dyes, inks, & more.